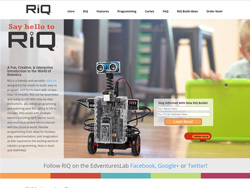 RiQ is a PCS Edventures! kid friendly and versatile robot kit. In less than 10 minutes, RiQ can be assembled and ready to roll! This website is a compilation of all the features, benefits, build instructions and breakdown of all parts and components that makes up this friendly robot. 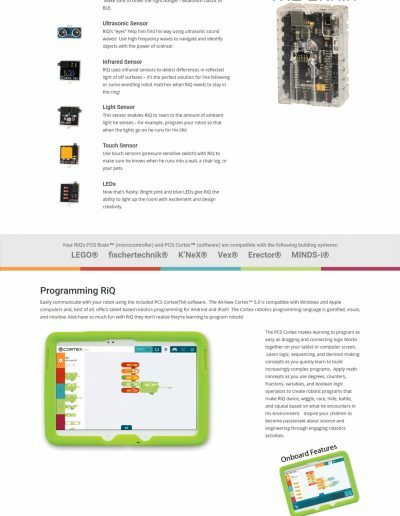 A comprehensive introduction to STEM education robotics. Maintain website technology up to date.